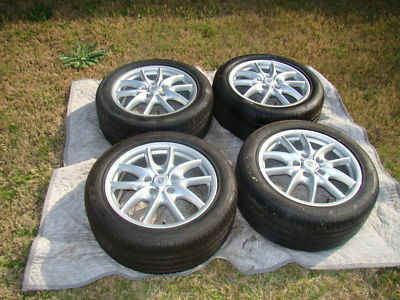 This auction is for a Brand New set of Original, Tequipment, OEM, Factory, Geninue Porsche 19" CAYENNE DESIGN wheels, Pirelli PZero Tires and Porsche OEM Black Crest Center Cap set for Cayenne, Cayenne S, Cayenne GTS and Cayenne Turbo. Porsche Cayenne Design Wheel features five dual-arm spokes and a 10-inch width at both front and rear wheel. The auction is for Wheels, Tires and Porsche Black Crest Center Caps. 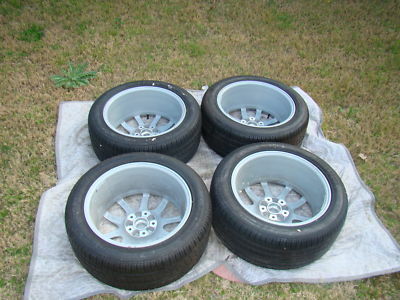 These set of wheels and Tires are in New condition with no chips or ware. There is no structural damage such as bends, cracks, curb rust or scratches. The wheels are straight, round and true. The wheels has the Porsche Color Logo Center Caps. 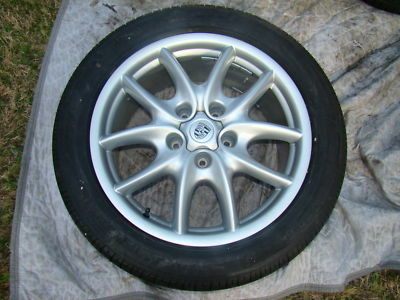 The wheels will fit all Porsche Cayenne from 2003 to 2011 . This Wheel is very nice when mounted on a Porsche Cayenne and are very rear to find especially one that comes with Pirelli PZero Rosso Tires. Wheels and Tires are in New shape and condition. 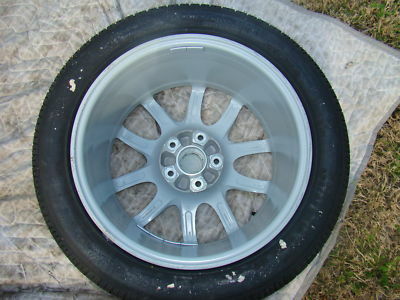 Front Wheel: Part #: 955.044.600.21 Size: 9Jx 19 Offset: 50 Front Tire Size: 275/45/19 Pirelli PZero Rosso Speed Rating 108Y N0. Tire Tread Remaining: 100%. The Front Tires has 100% of Tread Remaining and the Rear Tires has 100% Tread Remaining. The total cost of these wheels, Tires and the Center Caps is $6495.50 plus tax. This is a nice opportunity to dress up your Porsche at a reasonable cost.